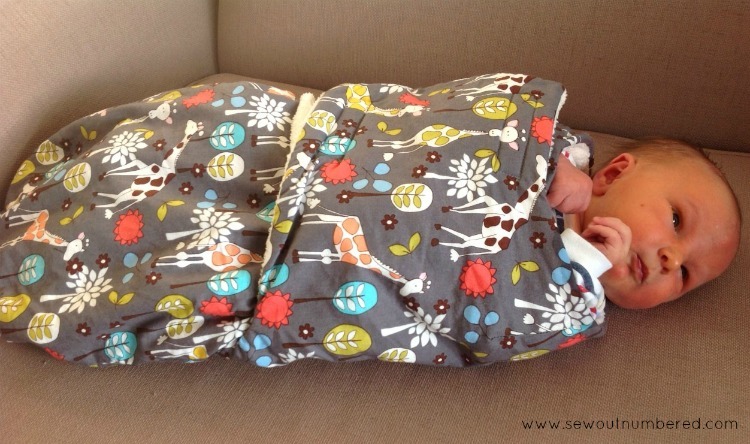 Welcome back to this week’s Sewing for Baby series on Sew outnumbered! 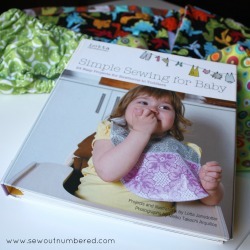 So far I’ve shared my free bib pattern and yesterday I showed you a bunch of projects from the fabulous Simple Sewing for Baby book by the amazing Lotta Jansdotter (affiliate link). I can’t even tell you how many of these I’ve made over the past few years. 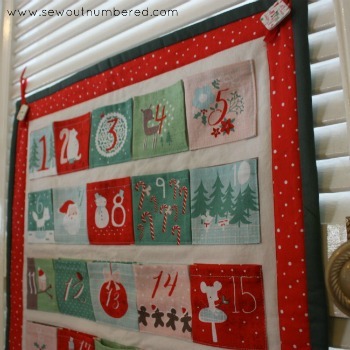 I was so excited to be able to make one when my Little came along as the Big Boy had missed out with me taking up sewing again once he was about 6 months old. And by then he was too big for one! So here he is… (all together now)…AWWWWWW…. I can’t believe how much he’s grown since this photo!! The first one is about the size. It is definitely a “newborn” size and I would say it fitted well up until he was about 4kg or 9lbs. So it’s great for small and average size newborns but not much good for bigger bubs. 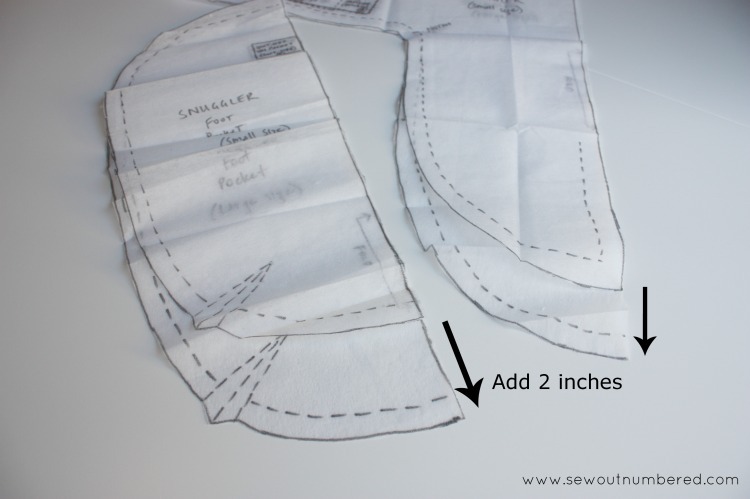 Once I realised it wasn’t going to last very long, I decided to sew up a longer version by adding an extra 5cm or 2 inches to the bottom of the pattern pieces. I found this lasted until he was about 5kg. I think from now on I’ll make all of mine in this larger size to accommodate bigger bubs. My second tip relates to sewing on the Velcro. The pattern instructions tell you to sew up the whole snuggler before adding the Velcro tabs but this is really difficult to do on the left flap (left when you’re looking at it, not the baby’s left) because you have a Velcro piece on both the front and back of this flap in the same place. So, I highly recommend that for the left flap, you sew your Velcro on BEFORE sewing these pieces together – between steps B and C.
The pattern suggests microfleece for the “soft” inside fabric but I was never able to find that. 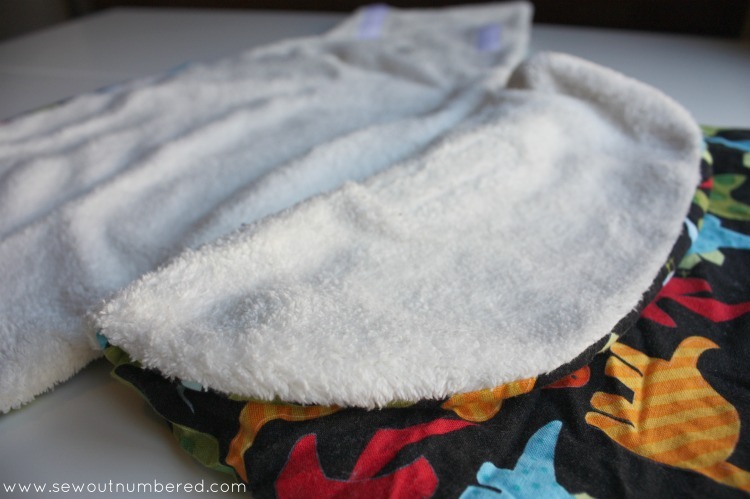 Instead I use either regular fleece – I think this one was called coral fleece – for babies born in the winter, or flannelette for babies born in the warmer months. 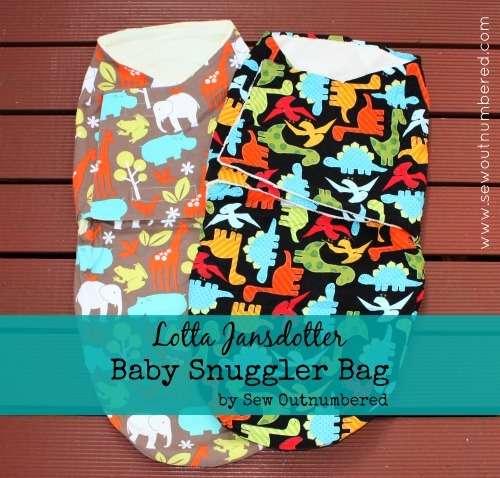 So here it is, the link to the Newborn Snuggler pattern! If you like this pattern or any of the others I shared in my post yesterday, I really recommend purchasing the book. If you do decide to purchase this book (or any others! ), it would be great if you click through to the Book Depository via a link on my site. It won’t cost you any extra but I’ll receive a small commission and you’ll get to feel great about helping me out – go you! I’ll be back again tomorrow with more Sewing for Baby. Don’t forget you can follow me on Bloglovin’ or sign up for email post updates so you don’t miss out on the latest Sew outnumbered news. 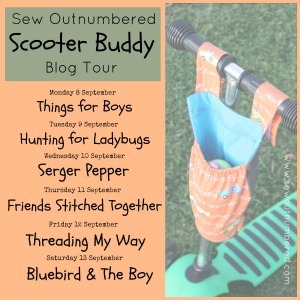 The Scooter Buddy Tour: Coming soon! 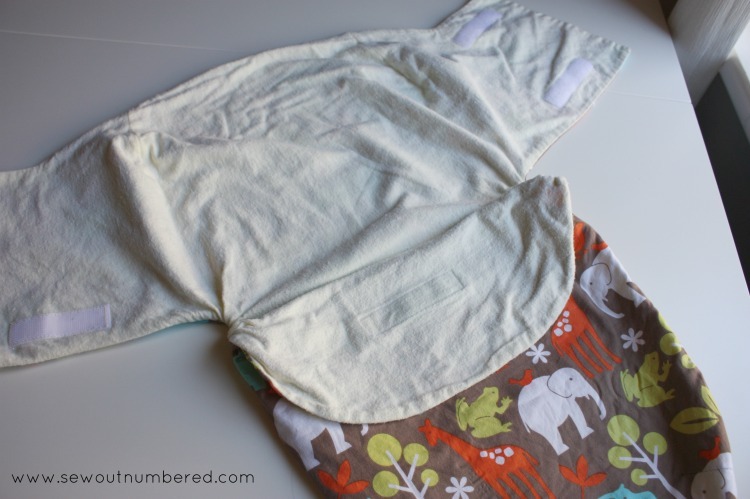 Sewing for Baby: Bloomers and change mats and pillows, oh my! Hi there! I'm Nat and sewing is my hobby turned obsession. I love to make things for myself and the boys in my life. © SEW OUTNUMBERED All content and images belong to Sew Outnumbered unless otherwise indicated. Would you like to publish about one of my posts or ideas? Great! Just please link any reference to my content back to the original post and credit my ideas. Note that you may not copy whole posts, tutorials or photos with my permission. You may not copy or publish any images that contain my children. Please let me know if you use one of my ideas, I would love to hear about it. Designs and tutorials are for personal use only.